A brand new, home business - Pig In A Pickle - delivers jars of fresh, pork pickle to your homes. 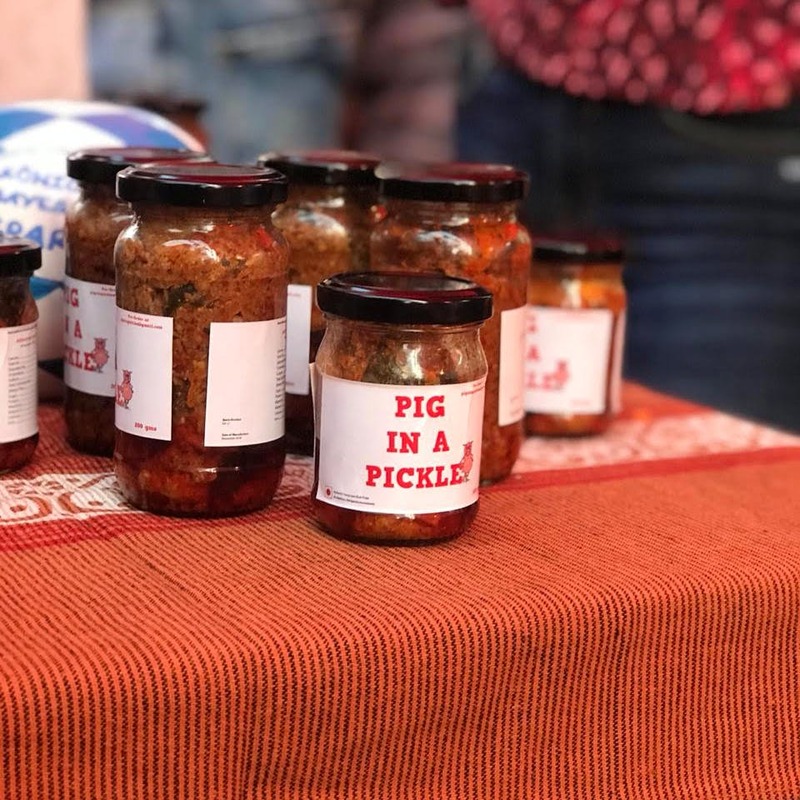 Launched just last month, Pig In A Pickle has been started by Arvind Appanna and is his effort to take his mother’s to-die-for pork pickle recipe to the world. For pork lovers, this fresh, meat pickle is just what you need in your fridge and can perk up any meal. What we love is that, unlike the regular meat pickles that you find in the store, the meat in this one is not hard and is as fresh as it can get. Plus, Appanna says that they like to keep the fat on the lower side (except, of course, for the oil that’s used to preserve the pickle). The pickle is made in the Coorg style and is spicy and dry. So, you can heap it on a plate of rice or spread it on a slice of bread or pair it with warm rotis. As of now, Pig In A Pickle works on an order-to-order basis (they are planning to launch their social media pages soon). You will need to mail them with your requirement and they’ll deliver it your doorstep. The price is INR 500 for a jar of 200 grams and INR 1,200 for a half-a-kilo jar. If you are giving them a bulk order, you can expect immediate delivery. But if you are ordering only a jar or two, you will have to wait around five days for your delivery. So, make sure your book your quota of pork pickle in advance. As of now, they only deliver in Bangalore. Once you open the jar, you will have to keep the pickle in the fridge, at all times, to ensure a shelf life of six months.